We want portability in all of our technology. Desktops have shrunk down to notebooks. Tethered landlines have been replaced by tiny mobile phones. Why should 3D printers be any different? 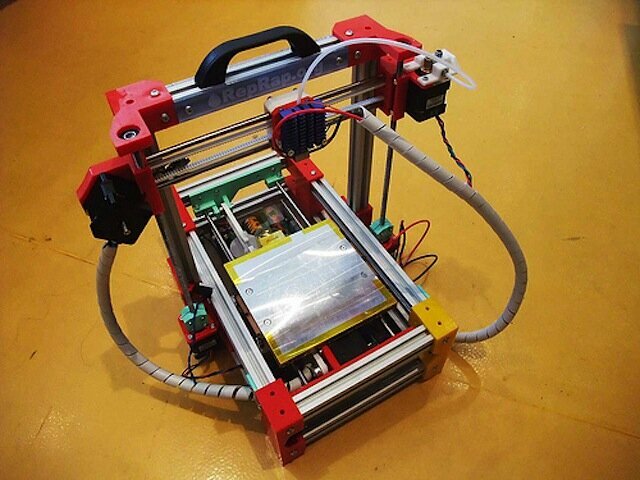 So far, there is no mobile 3D printer on the market, but there is one in the making. Now, I wouldn’t bring this down to the coffee shop for a session with my cappuccino, but it’s going to be portable enough to take from your home to maker meetings, or to bring with you on a flight somewhere. It’s called the FoldaRap and it’s a working concept, currently raising money on Ulule. 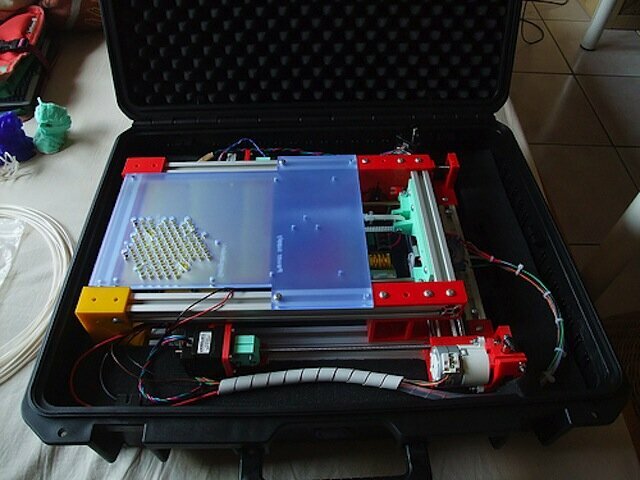 The FoldaRap is an open-source 3D Printer, based upon the RepRap, that you can fold and place into a traveling hard case, and then open and unfold when you get to your destination. Folded, you can travel with it, ship it, and even stow it when you spouse tells you to get your toy off the counter. 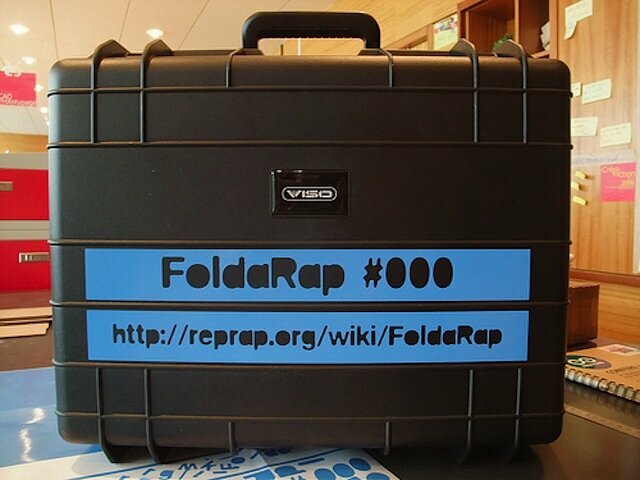 The FoldaRap nicely folded up. The FoldaRap, unfolded and ready to print. The FoldaRap is the brainchild of “designer-geek-idealist,” Emmanuel Gilloz. He’s been working on the project for the last 5-7 months. He’s began his Ulule project with hopes of raising his goal of €6,500. As of this writing, he’s 115% funded by 30 backers, with 22 days still to go. Way to go Emmanuel. If he’s got a FoldaRap built already, why does he need funding? For the same reasons as most others on the crowdsourcing sites: to fund new prototypes, make bulk orders, find beta-testers and spread the word on the project. For a pledge of €650 you get the FoldaRap in kit form. 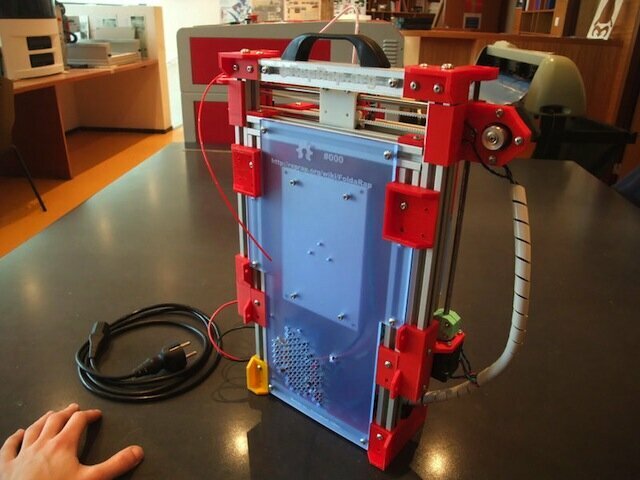 For €900 you get the kit, plus can join others in a Makerspace and build it along with the developer. And for €1,000, you can receive it fully assembled, delivered in a box; €1,200 gets it to you assembled and delivered in a hard carrying case. The FoldaRap set into the great case you can buy to travel with it. There are a lot more photos and videos on the project page, so head over and check it out.